Handpicked by Ava DuVernay and a Toronto International Film Festival (TIFF) and Berlinale official selection, VAYA pays homage to the Tsotsitaal namesake meaning “to go." 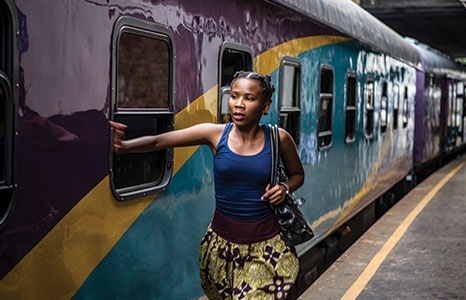 VAYA chronicles the innocence lost by three young South Africans who journey away from their rural homes on a train bound for Johannesburg. Stirring and suspenseful, VAYA culminates in an explosive moment based on real accounts. Omotoso’s collaboration with first-time feature cinematographer Kabelo Thathe pairs stunning aerial shots with fast-paced images in Johannesburg to intertwine the stories of strangers struggling to survive.